In January 2014, Olivia Stacey’s father passed away, altering her life path significantly. From a young age, Stacey had watched as her father studied to become a nurse. “He got his nursing degree later in life,” she noted. She recalled that at her father’s wake, so many of his fellow nurses wanted to pay their respects that many had to change their shifts at the hospital. Stacey wasn’t sure what kind of career she wanted to pursue, but found strength and motivation following in her father’s footsteps. “Nursing was his passion. It was who he was,” she said. Stacey sensed her father’s presence as she became increasingly more focused and determined. “I think it was his way of saying ‘get it together’,” Stacey recalled. Stacey found out about Goodwin College through her doctor, who recommended that she look into the school. She knew Goodwin was the right choice for her once she stepped onto campus and attended a nursing seminar. “I just knew. It was fate.” She is now enrolled in the Pre-Nursing program at Goodwin. Stacey was struggling in her math class; when she expressed concern to Noonan, he in turn connected her to Eric Emet, Director of Student Retention. 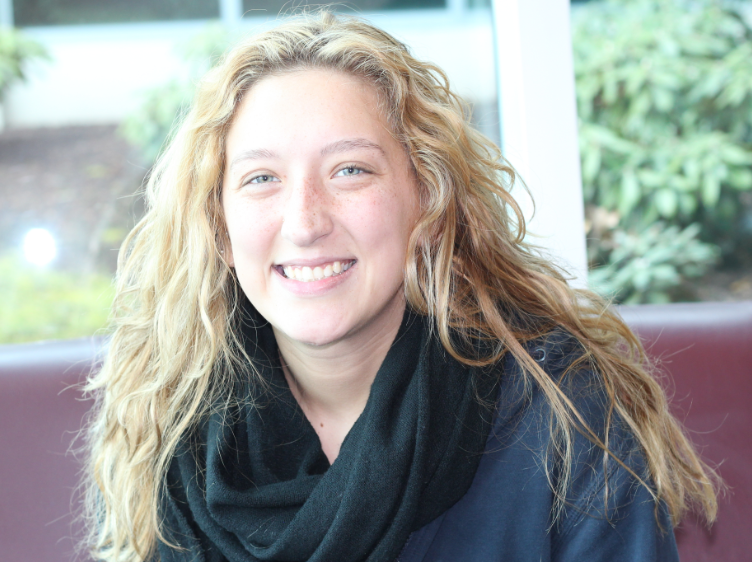 Emet was able to secure a math tutor in the Academic Success Center to get her on the right track. Stacey is well on her way to becoming a compassionate, hardworking nurse just like her father. 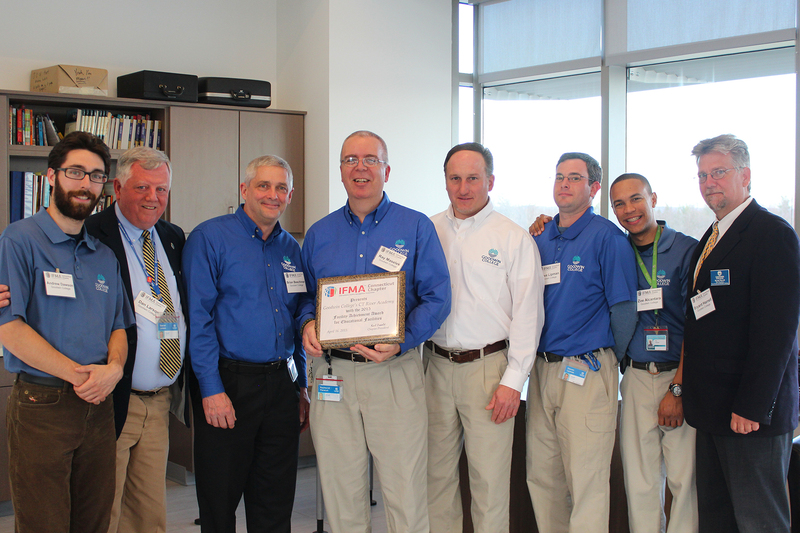 On April 16, the Connecticut Chapter of the International Facilities Management Association (IFMA-CT) honored the Connecticut River Academy at Goodwin College (CTRA) with its Facility Achievement Award for Educational Facilities. The magnet high school, which opened the doors of its new home at 9 Riverside Drive in East Hartford in 2014 and fully incorporates environmental themes into its curriculum, was designed with a number of green features. 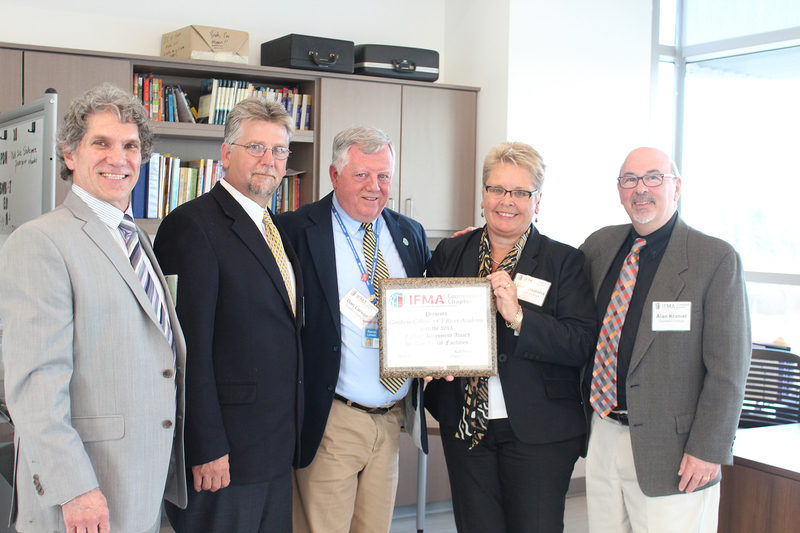 At a presentation held in one of CTRA’s classrooms overlooking the Connecticut River just a few feet away, IFMA­CT president Karl Oswald welcomed guests and spoke of how impressed he had been in learning about CTRA and its focus on environmental stewardship. The facility was nominated for a number of factors including its use of solar panels, a grey­water collection tank, and a green roof. Oswald pointed out the degree of community involvement that went into planning the space — from design to opening, Goodwin College actively engaged the community, including staff, students, and parents. The nomination also highlighted Goodwin’s excellent record of hiring Minority Business Entrepreneurs for their outsourcing needs and employing a diverse staff in their direct hires. Dean of Magnet Schools Alan Kramer explained how the Goodwin educational community, which comprises the College and three magnet schools, serves the educational needs of its students and making them good stewards of the environment as well. Linda Dadona, principal of CTRA, had high praise for the Goodwin facilities team members who take such wonderful care of the new building. Their efforts to maintain the school in pristine condition is reflected in the immense pride that the student scholars take in being part of a learning experience unlike any other. Following the presentation, CTRA faculty members and the facilities crew led guests on tours of the school to get a closer look. More than 600 excited audience members packed the Goodwin College auditorium on April 9 to hear award-winning journalist and bestselling author Malcolm Gladwell speak as part of the College’s Vital Voices: The T. Boone Pickens Endowed Lecture Series for Education, Innovation, and Entrepreneurship. The free-admission event was co-sponsored by the Connecticut River Valley Chapter of the Young Presidents’ Organization/World Presidents’ Organization. “How can anybody not take advantage of the opportunity to hear this man speak?” asked Sandra LaJeunesse, principal of Odyssey Consulting, who had encouraged a group of friends to accompany her. 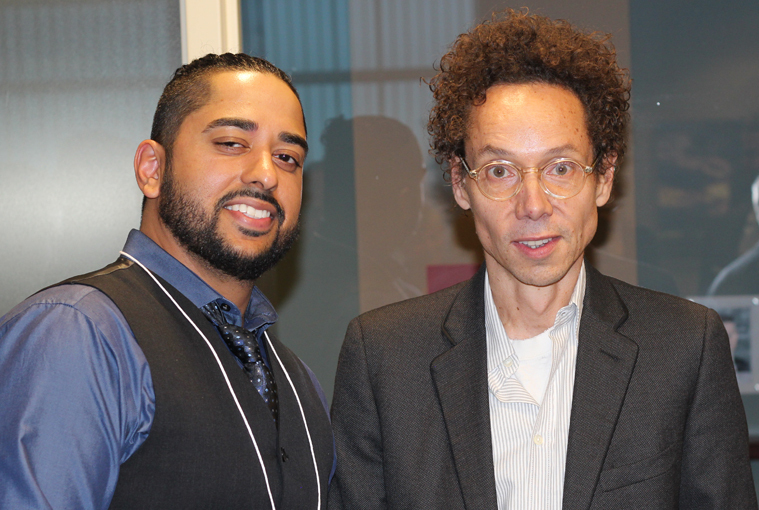 Gladwell, named one of TIME Magazine’s 100 Most Influential People, spoke at length about the perceived legitimacy of civil constructs ranging from the police, to global tax laws, to America’s education system. “People will obey authority when they feel that authority has legitimacy,” he said, pointing out systems and authorities in everyday life that can be perceived as unfair. “I loved the way he touched on realities that are sometimes difficult to put into perspective and made them come to life, with a challenge to his listeners to work at making things better,” Eileen McMurrer, Public Awareness Coordinator for the Connecticut Birth to Three System, commented after the discussion. Vital Voices: The T. Boone Pickens Endowed Lecture Series for Education, Innovation, and Entrepreneurshiphosts several lectures each year at Goodwin College focused on first-hand perspectives of leaders who are making a mark in business and in the community. Previous speakers have included former presidential candidate and editor of Forbes Magazine Steve Forbes, celebrated civil rights activist Congressman James Clyburn, and entrepreneur Stew Leonard. Health care has always been her passion. Prior to Goodwin, Krivickas worked for 10 years as a CNA in a nursing home, as a medical assistant in an OB/GYN office, and for a brief period of time as an EMT. 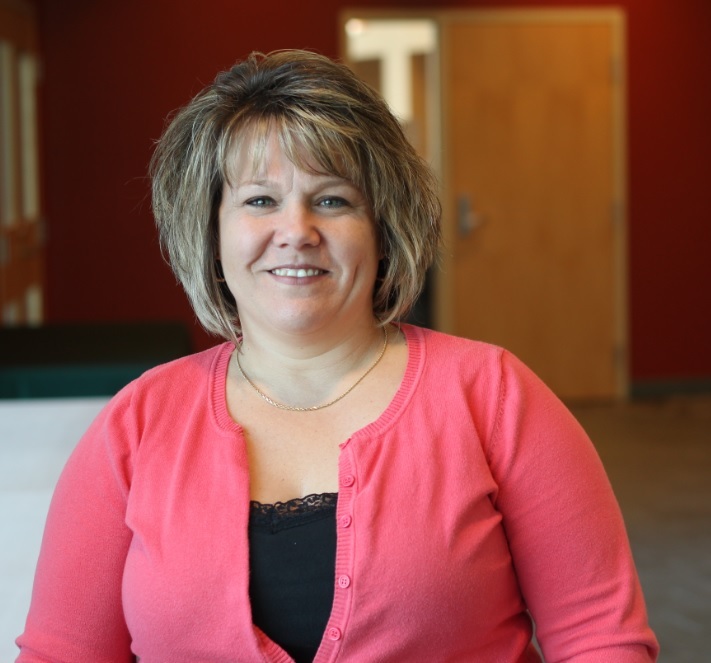 Krivickas currently works as an ambulatory surgery nurse at the Hospital of Central Connecticut , where she provides pre and post op care along with discharge instructions. Previously, she worked as a pediatric nurse in the same hospital for five years. “In pediatrics, you get to be a kid too,” Krivickas fondly recalled. Her adaptability made the transition between pediatrics and ambulatory surgery an easy one. On March 31, Jerry Gooden, former senior vice president and head of Aetna’s four regional businesses, visited Goodwin College’s Men of Vision in Education (MOVE) program. During Gooden’s career at Aetna, he held positions in sales, marketing, underwriting, claims, and customer service, and ran businesses with revenues in excess of $10 billion and staffs as large as 7,000. Now retired, Jerry currently serves as the chairman of the Board of Directors for the Greater Hartford YMCA. In the spirit of MOVE’s Motivation and Skill spring theme, Mr. Gooden shared his insights for developing a successful life and career. He highlighted the obstacles he faced growing up in San Diego and the many roles he held during his 31-year career at Aetna. Throughout the afternoon, he urged students to maintain a sense of urgency, continue to collaborate with peers, and actively search out motivational mentors. He emphasized his belief that students should broaden their horizons, take calculated risks, and adapt to change as paths to remaining professional successful. 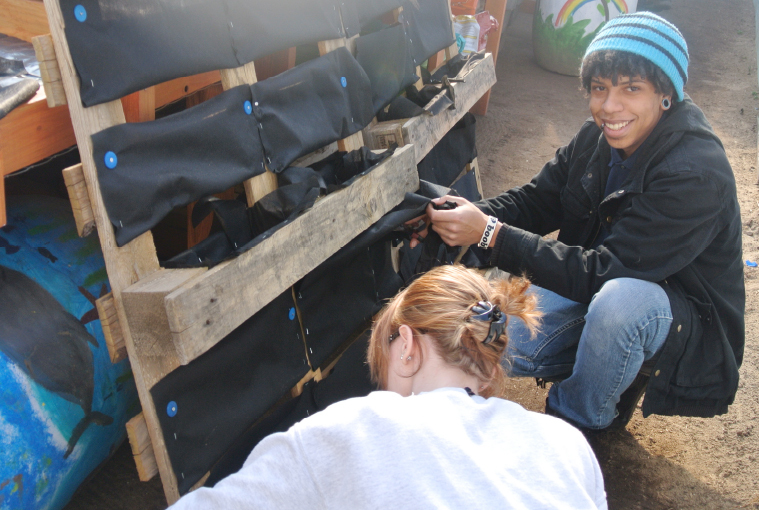 In March, students from Goodwin College’s Women Invested in Securing an Education (WISE) and Men of Vision in Education (MOVE) programs collaborated with Connecticut River Academy (CTRA) students to volunteer with Keney Park’s Sustainability Project (KPSP). The project is a partnership that includes the City of Hartford, Hands on Hartford, Friends of Keney Park, Inc., Knox Parks, Our Piece of the Pie, Aquastone Graphics, Public Access Television, the Board of Education, and DEEP. KPSP is a multi-phase project educating youth and other community members on the importance of sustainability practices, creating jobs, and preparing the next generation of city workers and environmental stewards. According to the director and event coordinator for the Family Day Foundation Inc., Herb Virgo, the park will continue to need support. With 963 acres to maintain, “Keney Park Sustainability Project is a partnership. Our goal is to have a farmers market as well as archery available to the public,” he explained. WISE, MOVE, and CTRA students are looking to continue their volunteer efforts throughout the year. 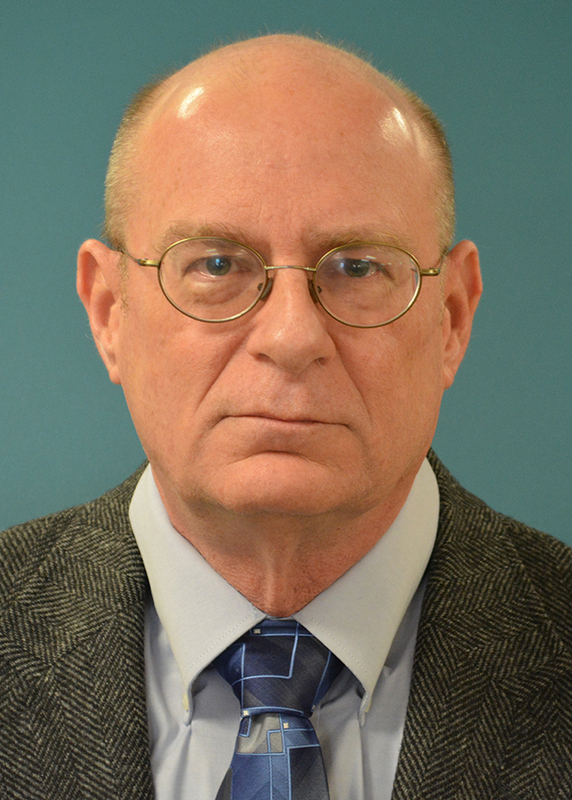 Dr. Len Walsh, an adjunct faculty member and manufacturing lab technician in Goodwin College’s Manufacturing program, was honored with the 2015 Creativeness in Ergonomics Practitioner of the Year at the 18th Annual Institute of Industrial Engineers Applied Ergonomics Conference, held in March as part of the Applied Ergonomics Conference in Nashville. Sponsored by Liberty Mutual Insurance Co., the award recognizes achievements in the creative application of ergonomics, including process improvement, education, applied instrumentation, and product development. At Goodwin, Dr. Walsh currently teaches BM140 Principles in Manufacturing Mathematics. Desiree Langbeen, a fourth grade teacher at Balfour Elementary School in Asheboro, North Carolina, and Assistant Professor Michael Wolter, Program Director for Goodwin College’s Management & Leadership program, have been best friends since childhood and consider each their “adopted sibling.” At a winter family get together, Desiree shared how her school had created a Robot Club for fourth and fifth graders. Balfour, part of a small city district, is 92% free and reduced lunches, which means that the school qualifies for Title 1 funding that helps low income, high poverty populations with extra resources to increase student achievement and roughly a 45% English Language Learners population. The district has been implementing STEM activities into schools for the last several years. The Robot Club began as an enrichment program and currently includes 20 students. The Asheboro school district has been working to increase the exposure to technology for K-12 students. All high school students are issued a laptop through a grant-funded program hopefully extending to the middle schools in the future. Grade three to five classrooms are equipped with laptop carts, as well as a full weather station manned and operated by second and fifth grade students in conjunction with their science curriculums. The school district hosts an annual fair where students create and present projects that incorporate math and technology. These initiatives support the district’s vision to create 21st century college-ready students. The Robot Club is being conducted in conjunction with Desiree’s National Boards application, fulfilling her science/math requirement of the application process. The academic team that she leads, including Sarah Tonkin and Brooke Forrest, chose robots because they wanted to appeal both to boys — who generally are focused on soccer — and to girls to increase their exposure to math and science-related topics. The goal was to engage students in critical thinking by having them collaborate in teams to design and build a robot. The group comprises seven special education students and 13 ELL students, many of whom do not have the opportunities to work with projects of this nature. Mike talked with Desiree about Goodwin’s Manufacturing program, which houses NAO (the program’s robot) and a 3D printer and includes a faculty member skilled in operating a Quadcopter, a small version of a drone. Both Mike and Desiree saw an amazing opportunity to get her students excited about the Robot Club and to experience three programmatic showcases. Since bringing the Goodwin faculty and equipment to North Carolina was not feasible, Mike recommended using Skype through the new Business and Manufacturing Center’s mobile SMART Board and the SMART Board in Desiree’s classroom. 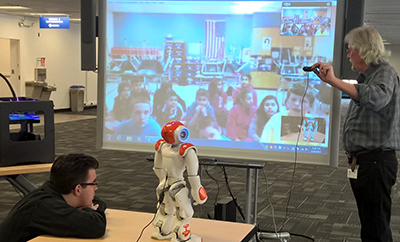 Students could talk with Goodwin’s faculty, see the 3D printer and Quadcopter in action, and “interact” with NAO. Dr. Cliff Thermer, Chair of Goodwin’s Social Science, Business, and Education department, and Desiree’s supervisor at her school both supported the idea. On March 25, Desiree and her students Skyped into Goodwin’s “Open Classroom” space for a virtual learning session. Mike demonstrated NAO’s capability; Chip Thermer explained how the 3D printer worked; and “Pilot Steve” Socolosky showed off his piloting skills through the Quadcopter. Following the short demonstration, Mike, Steve, and Chip fielded countless questions from the excited North Carolina students about technology, the robot, the printer, the Quadcopter, and about college in general. Desiree later reported to Mike how engaged and talkative her students had been following the demonstration. The Goodwin faculty members equally enjoyed in their interaction with the fourth and fifth graders. This initiative is something both schools hope to do again in the future to promote technology and math to elementary students.